Removes shortest hair that wax can’t catch. Its advanced engineering includes close-grip technology with 40 tweezers that remove even shortest, finest hairs. 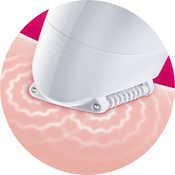 In addition, the epilator’s unique Dual Comfort System employs massaging rollers that stimulate the skin, plus a cooling glove to soothe after epilating. 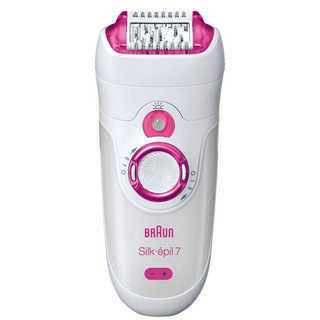 Now, the best introduction to epilation is also the easiest. 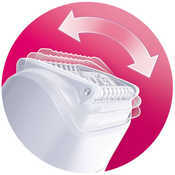 Speed 1 for extra-gentle epilation, Speed 2 for high-efficiency epilation. Pivots up to 15 degrees (forward and backward) to better adapt to the contours of the body for greater comfort and maximum thoroughness. Effectively lift even flat-lying hairs and help guide them to the tweezers for removal. Illuminates even the finest hairs, ensuring you don’t miss one. 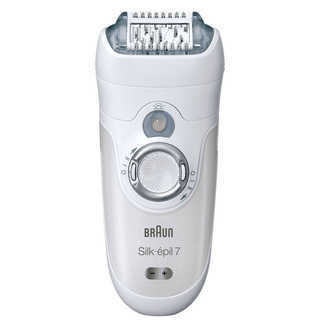 Stimulates the skin and effectively soothes the plucking sensation during epilation for maximum comfort. 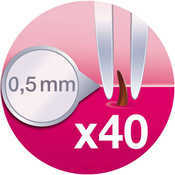 40 tweezers have been engineered to grip hair even closer to the skin for better removal of even the shortest hairs (0.5 mm). 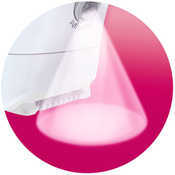 Like all Silk-épil epilators, its sealed body can be cleaned under running water for better hygiene. 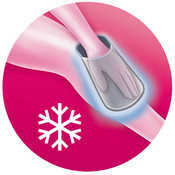 Cools the skin before epilation and soothes it afterward to further improve your comfort. This is my first time epilating. How should I go about it? 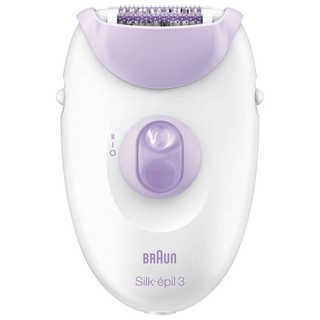 Braun Silk-épil epilators are perfect for first-time users. The active massage rollers softly stimulate your skin with micropulsations before and after removing the hair, leaving your skin more relaxed. 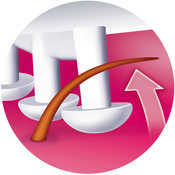 Still, if you are inexperienced, you might feel some discomfort during your first epilating sessions. This will decrease with each session as the skin adjusts to the process. Also, the individual hairs grow back at different speeds depending on their particular growth cycle, so there will be less hair to remove after the first epilation. No. 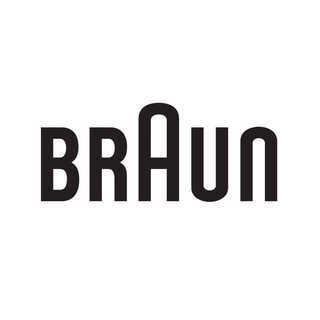 In fact, dermatological tests have shown that ongoing epilation reduces the amount of hair regrowth. How do I prepare my skin for epilating? The best preparation for epilating is a nice, warm shower. It will leave your skin clean and relaxed. 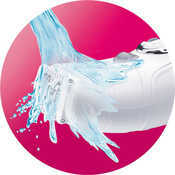 Be sure to use gentle, pH-neutral shower gel and keep the water warm, not hot, to avoid drying out your skin. 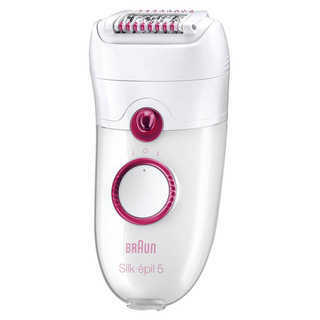 Silk-épil epilators have been specifically developed to minimize any discomfort and irritation. 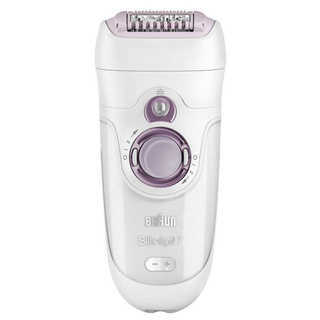 How do I charge my epilator? 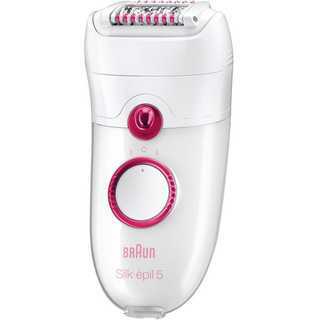 To charge, push the charging cord into the epilator’s charging socket until it clicks. The first time you connect your charging cord, it might require firm pressure. After a few connections, it will be easier to click it in. 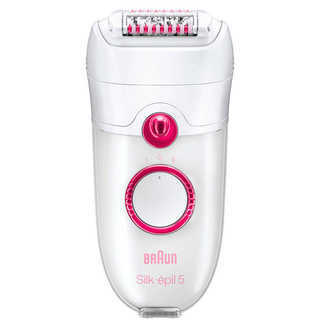 This entry was posted in Epilators and tagged 5280, Braun, Epil, Epilator, Glove, Pink, Silk.